On the 20th of December 2011 my newest Zazzle store, IckleCritters, received it’s very first design recognition award. 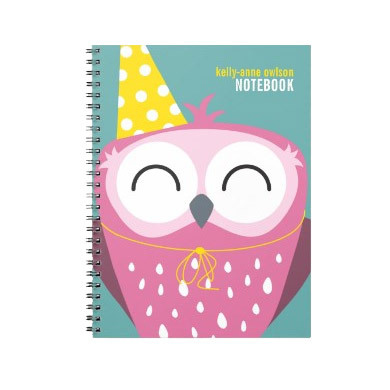 Happy Pink Party Owl Notebook was featured on page one of ‘Zazzle’s Today’s Best’ Page. This page features a selection of best designs for each day at Zazzle.